The IRB does not accept a CHOP-specific protocol for multi-center research studies. When the PI at CHOP is responsible for the overall protocol, it should be written in a site-neutral way so that it can be implemented at all of the other sites. "For scientific reasons, all sites conducting a given study must use essentially the same protocol. Permitting substantial variation in what happens to subjects at different sites introduces bias and risks rendering the study results uninterpretable." From Menikoff, J: The Paradoxical Problem of Multiple IRB Review. A badly written protocol can contribute substantially to approval times especially for investigator-initiated studies. The protocol provides the scientific basis for the proposed research; it defines the study objectives, the population to be studied, the procedures to be followed, the evaluations to be performed and the plan for analysis; and lastly, it discusses the administrative aspects of the study such as safety management and regulatory issues. While it is often assumed that observational studies (descriptive, cohort, case-control or cross-sectional studies), particularly those that are retrospective are simpler. This is usually not the case. Observational studies are often more complex than randomized controlled trials because it is often quite challenging to adjust for all of the sources of bias and confounding. The guidance for this page will follow the outline for the Intervention Template because it has more sections than the others. The general advice is applicable to the other protocol templates. 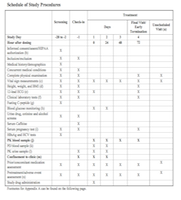 SPIRIT (Standard Protocol Items: Recommendations for Interventional Trials): SPIRIT is an initiative to create a checklist for protocols that complements the CONSORT requirements for trial reporting. The SPIRIT 2013 Statement: Defining Standard Protocol Items for Clinical Trials established criteria for items that should be in all clinical trial protocols. A companion document, SPIRIT 2013 explanation and elaboration: guidance for protocols of clinical trials provides a more extensive discussion of each of the items on the SPIRIT checklist. While there are differences between a clinical trial and an observational trial, there is considerable overlap with many protocol items. Both the SPIRIT Statement and the SPIRIT 2012 Explanation and Elaborationserve as valuable references to aid protocol writing. 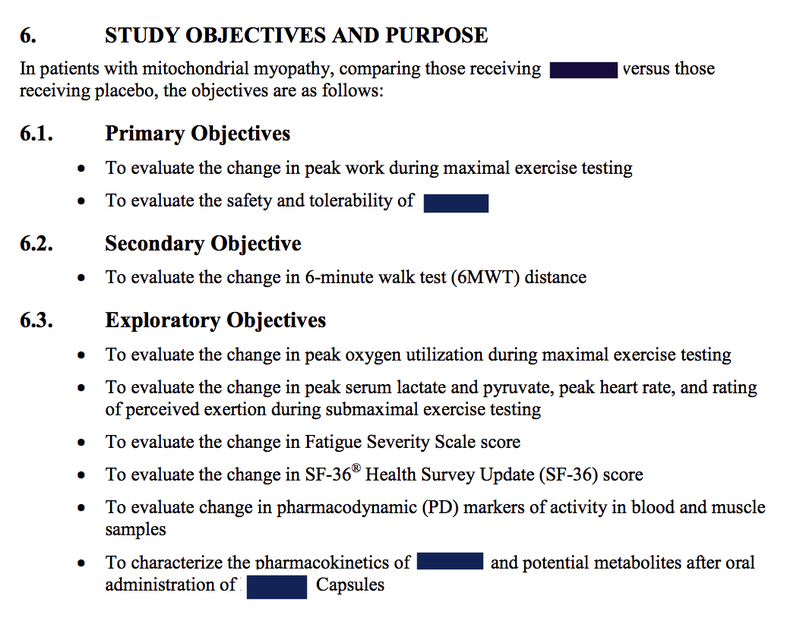 An example protocol shows the format and style of a simple descriptive study. The protocol is succinct but still manages to convey clear objectives, an overview of the study design, inclusion/exclusion criteria, data to be abstracted and analysis plan. In addition, the investigators discuss the human subjects research ethics issues. This second example is for an observational protocol. The study design is cross-sectional, meaning that there is just one study visit. Note that the procedures in Section 4 are simply bullet points and these match the Table of Procedures. 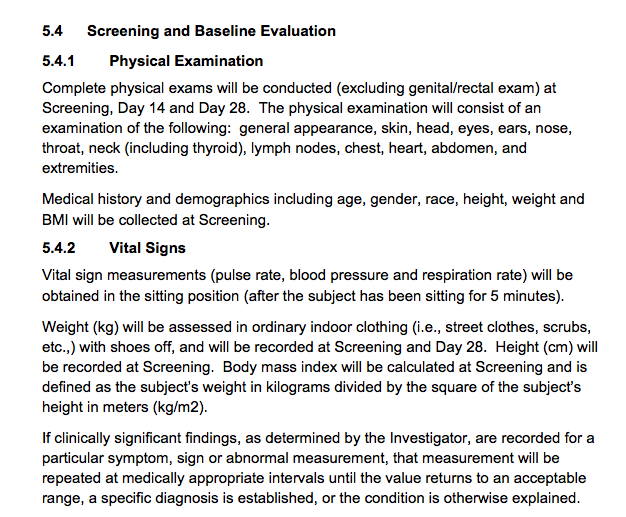 The details of each of the study procedures are in Section 5, where a short paragraph describes each procedure. The analysis plan is complete and the sample size calculations are provided in enough detail that they could be replicated. The synopsis is a 1 - 3(4) page outline of the study in miniature. It enables investigators, study coordinators, IRB reviewers and regulatory personnel and auditors to quickly acquaint themselves with the study. The synopsis should be brief. It is not necessary to write complete sentences for many sections, bullet points often suffice. When the design is less straightforward, a flow diagram helps explain the groups to which subjects will be assigned and how they will proceed through the trial phases. 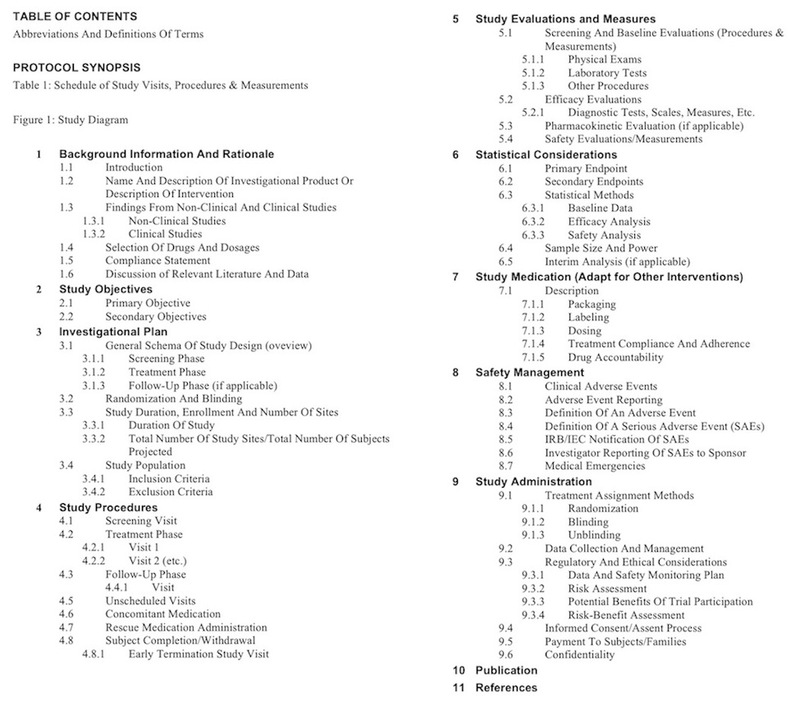 A table listing the study procedures and the timing of procedures helps provide a summary for investigative team members and for reviewers. 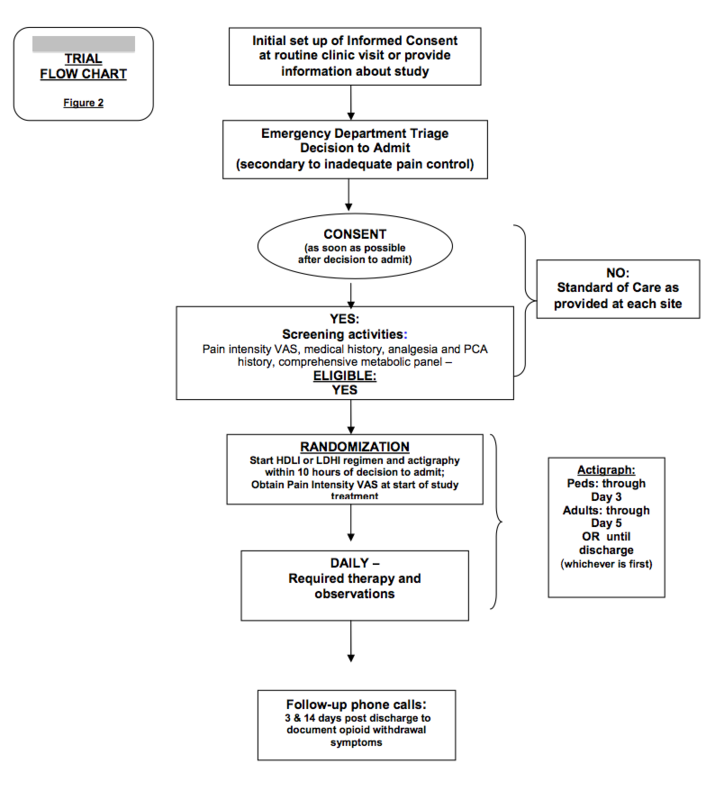 Since the table provides a rapid reference for the timing of all study procedures, this table aids the investigative team maintain a compliant trial. A list of study abbreviations can aid consistency and improve understandability. The background and rationale should be no more than 3 - 5 pages. It is appropriate to refer back to the Investigator's Brochure, the full grant, or 1 - 3 attached key references from the literature for more detailed information. Information about the study intervention, summary of the non-clinical data and clinical data, and a review of the literature are all part of this section. If the study involves the administration of a drug or biologic, a justification of the dosage and dosing interval should be provided. A compliance statement is included in the template. This statement is not a review of the ethical issues raised by the study design. It simply is a statement that the research will be conducted in accordance with regulations and hospital and IRB policies. ❡ The results of recent empirical investigations in research synthesis imply that research ethics committees are behaving unethically by endorsing new research which is unnecessary and by acquiescing in biased under-reporting of research which they have approved. The performance and accountability of research ethics committees would be improved if they required those proposing research to present systematic reviews of relevant previous research in support of their applications; to summarise the results of these reviews in the information prepared for potential participants; to register new controlled trials at inception; and to ensure that the results of these trials are made publicly available within a reasonable period of time after completion of data collection. The study objectives (or aims) should be broken down into primary and secondary objectives. 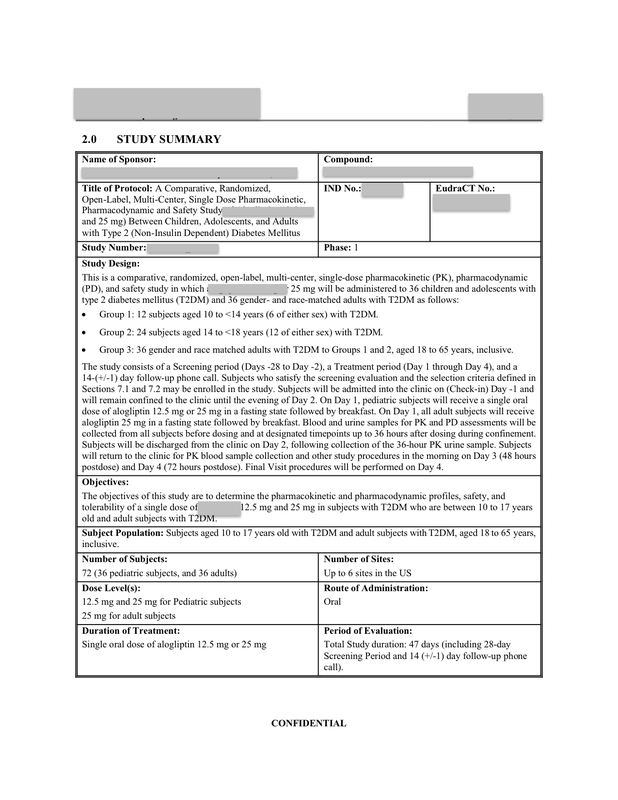 The objectives need to be specific to the intervention - for a drug, they should specify the dosage level, route, frequency and duration of administration and in a defined population - "does the study drug reduce blood pressure when administered twice a day as an oral liquid, at a dose of 50 mg, in children age 6 - 12 years who have moderate hypertension". The objectives are usually written as bullet points. The primary objective serves as the basis of the sample size. Secondary objectives may be exploratory or hypothesis generating and the study may not be powered to achieve these objectives. 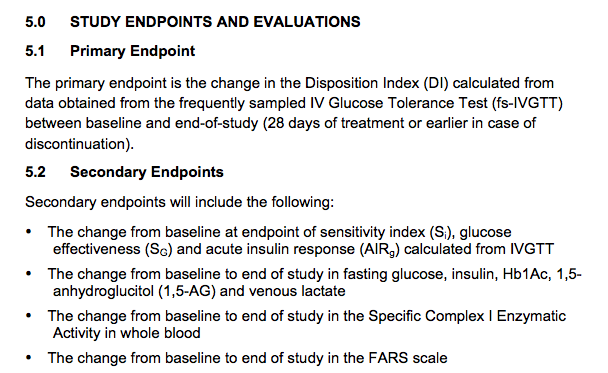 Each objective has a corresponding endpoint and a corresponding analysis plan. The endpoints in the IRB's protocol templates are located in the analysis section. 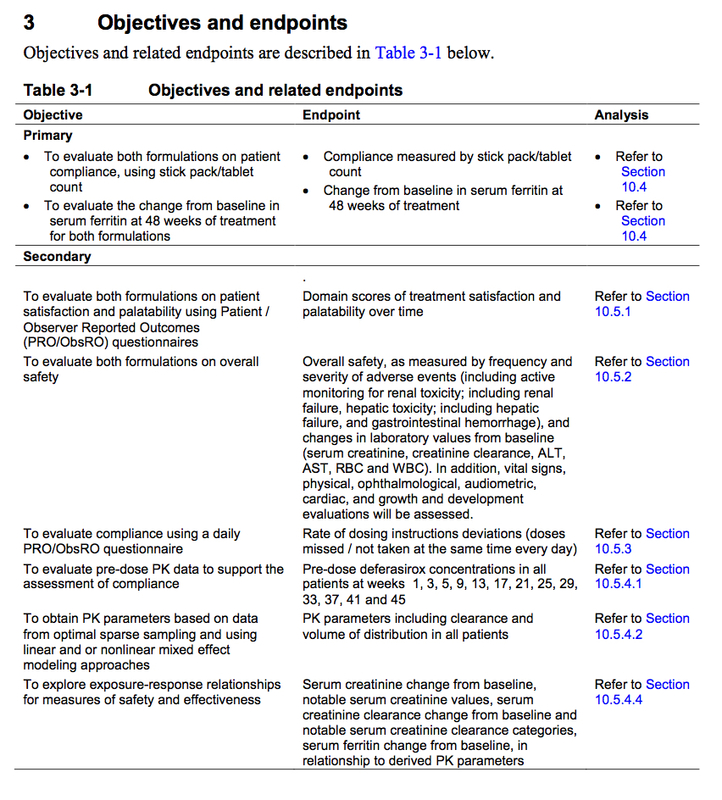 Some protocols include a table that maps each objective to its endpoint and corresponding analysis plan. This section provides a brief overview of the entire study design including various phases of the study (if more than one). The details are provided later in this section. Describes the burden on subjects (duration of their participation) and should also address study feasibility. Research that is not feasible is not approvable. Defines who will take part in the research. This section is mandatory and key for every study, regardless of design. 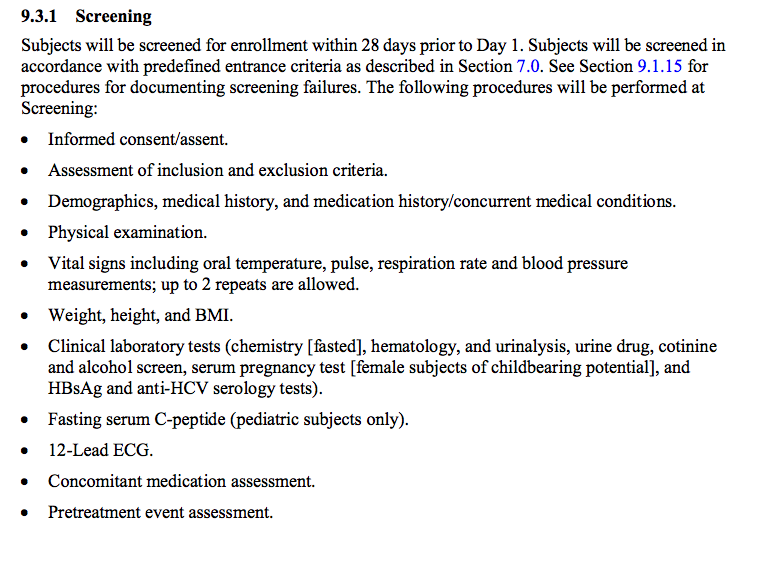 The inclusion and exclusion (enrollment) criteria define the population that will be participating. The risks and benefits of the study depend on who the participants are and the enrollment criteria also must be constructed to ensure an equitable selection of subjects. If there are any situations where there might be flexibility in the enrollment criteria, this should be stated explicitly in this section. Enrolled of subjects that do not otherwise meet one or more of the enrollment criteria constitutes a Major Protocol deviation that will need to be reported promptly to the IRB. This section is a Visit Schedule which is visit-by-visit listing of all the procedures that will take place at each visit. 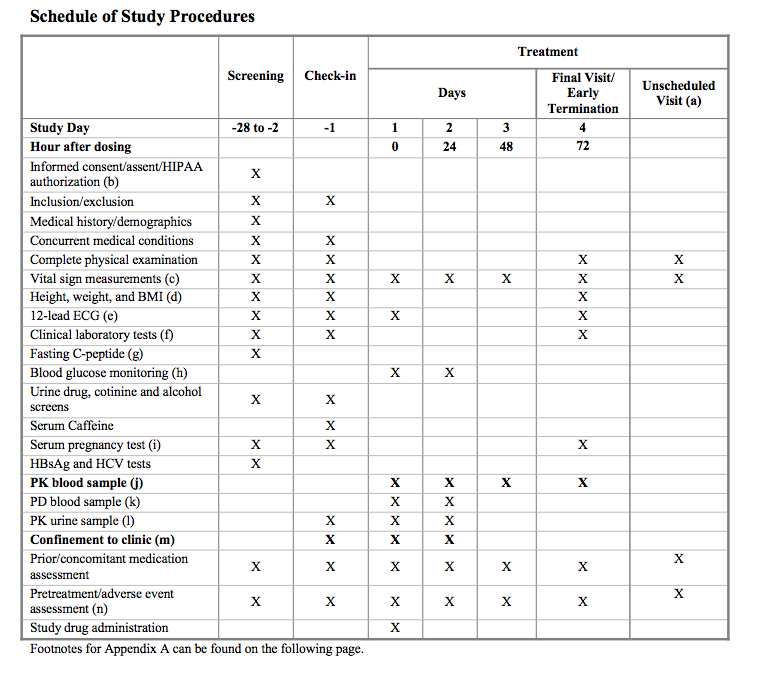 If the study will have multiple procedures in one day (e.g. blood draws for a PK study) then the timing of each of these should be included. The section on unscheduled visits may be applicable when patients are anticipated to require rescue therapy or might need interim care due to chronic illness. The examples for the Study Visits to the right and below come from different clinical trials. Should list all medications that are permitted or explicitly forbidden during studyparticipation. Since subjects are permitted to change their minds withdraw from participation from a research study at any time, the procedures that will be followed to provide for an orderly transition from the research to routine care should be outlined. For studies without an intervention this section may not be applicable but subjects may not be able to abruptly discontinue some medications and a plan needs to be in place to manage this eventuality. The Study Measurements should provide the detailed descriptions for how each measurement will be made including. For example, if blood pressure will be measured, it is important to state the subject"s condition (resting for at least 5 minutes), position (seated), arm (left) and technique (mercury sphygmomanometer).. The examples for the Study Measures to the right and below come from different clinical trials. 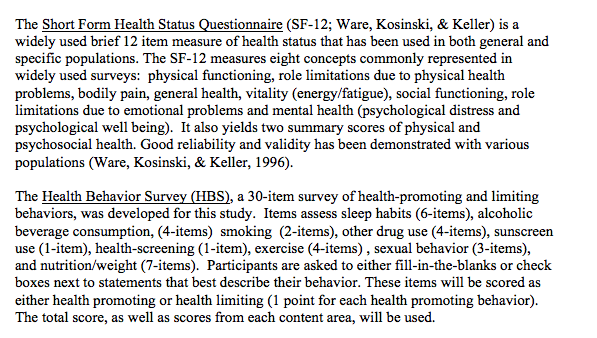 Psychological or other measurement scales that will be used should be described. Those that have been validated and that are on the IRB's listing of Validated Instruments may simply be referenced. Those that are not on the list should be included in the appendix or uploaded into eIRB. 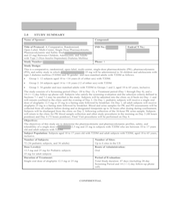 It is not necessary to include a copy of the case report form if all of the study measurements are listed in this section of the protocol. 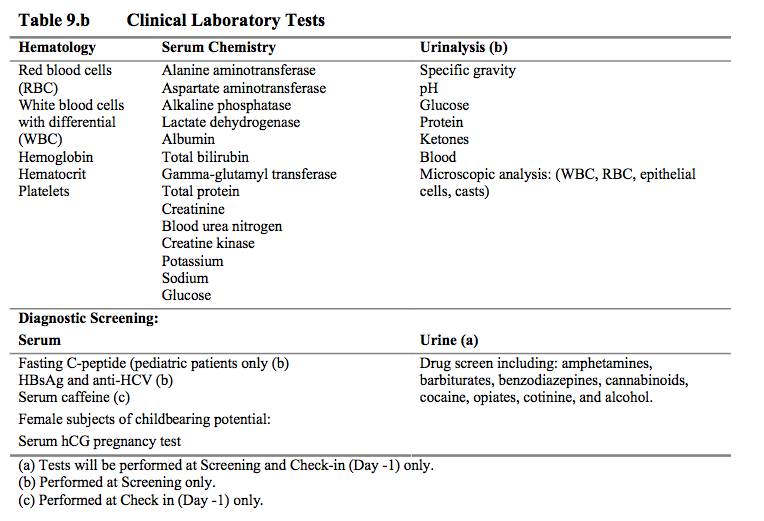 The protocol template also includes an alternative table format that may be easier for certain measurements such as laboratory tests. Study Endpoints or Outcomes translate the study objectives into explicit statements that describe the comparisons to be made. the specific measurement time point of interest for analysis. If the objective is to determine the efficacy of Drug A compared to placebo for the treatment of hypertension, the study endpoint might be the change in the mean (method of aggregation) systolic blood pressure (measurement variable) for Drug A compared to placebo between Visit 1 and Visit 4 (participant analysis metric and time point of interest). Some studies, such as exploratory studies, studies of rare diseases or pharmacokinetic trials may have a sample size that is based on more pragmatic criteria rather than a power analysis. 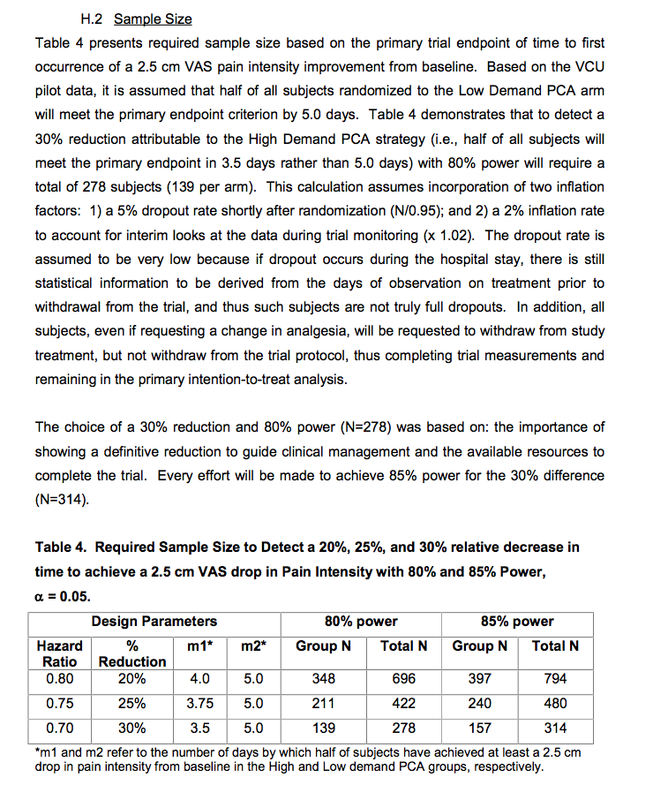 Regardless of whether or not there is a formal power calculation, the Sample Size section should provide sufficient information to explain the why the study is proposing to enroll the specified number of subjects and not more or fewer. The number of subjects needs to be sufficient to enable the study to achieve its objectives without being any larger than necessary. The IRB is required to ensure that the proposed study is feasible and minimizes risk. A study that is not large enough to achieve the stated objectives is not considered scientifically valid. A study that is larger than necessary exposes more subjects to risk and inconvenience than required to achieve the scientific aims. Analysis Plan provides the specific plan for how each component of the analysis will be performed. It is insufficient to merely list the tests to be used without including a discussion of exactly what comparisons will be performed. The Analysis Plan provides a justification for the data that will be collected. The IRB will not approve collection of extraneous data without a plan for how it will be used. Inadequate analytic plans are the most frequent shortcoming of investigator-initiated research. Statistical consultation should be sought prior to submission of the protocol not after completion of the study. Descriptive studies are limited to summaries of the data (means, medians, standard deviations, etc.) and do not require a very detailed plan. The analysis of observational research study designs is usually more complex than for clinical trials. A plan is need to deal with all of the sources of bias and for confounding variables. If the study will have an interim analysis, then the stopping rules for safety and benefit should be included. How much detail should there be in the statistical analysis plan? ❡ The SAP should include enough detail that another statistician familiar with the data set (or their own independent data) could replicate the analysis. This implies that the SAP should delineate populations (exclusion criteria); end points; descriptive objectives; testable hypotheses; modifications or derivations of standard variables; statistical methods, including handling of missing data, correlated data, bias, and confounding; subgroups; interactions; and sensitivity analysis. While the SAP should be finalized prior to data analysis, authors may make changes to the analytic plan in response to subsequent findings. These changes to methods, hypotheses, or both should be noted in the SAP to capture when and why components were modified during analysis. Once created, the SAP should be cited in the methods, submitted along with the manuscript for review, and potentially made available as an online appendix to a published article. From Thomas and Peterson's paper in JAMA 2012 The Value of Statistical Analysis Plans in Observational Research Defining High-Quality Research From the Start. This section should include the details regarding the packaging, dosing, storage and accountability of study medications or other interventions. For studies that will test a device or diagnostic test, the information regarding the device or the test might be best placed at this point in the protocol, particularly if the device or diagnostic is being studied under an IDE, HDE or IND. Protocols (and clinical trial reports) frequently omit key descriptions of the study intervention. Enough detail should be present in the protocol to allow another investigator to replicate the study without consulting the investigator. Setting Is it clear where the intervention will be delivered? Recipient Is it clear who will receive the intervention, and are all key factors known about the participants? Provider Is it clear who will deliver the intervention? Procedures Is the procedure (including the sequencing of the technique) of the intervention sufficiently clear to allow replication? Materials Are the physical or informational materials used adequately described (and available)? Intensity Is the dose, length, duration (exposure) of individual sessions of the intervention clear? Schedule Is the schedule (interval, frequency, duration, or timing) of the intervention clear? Overall Is the description of the intervention complete? This section is not in the Observational Template since there aren't any interventions. 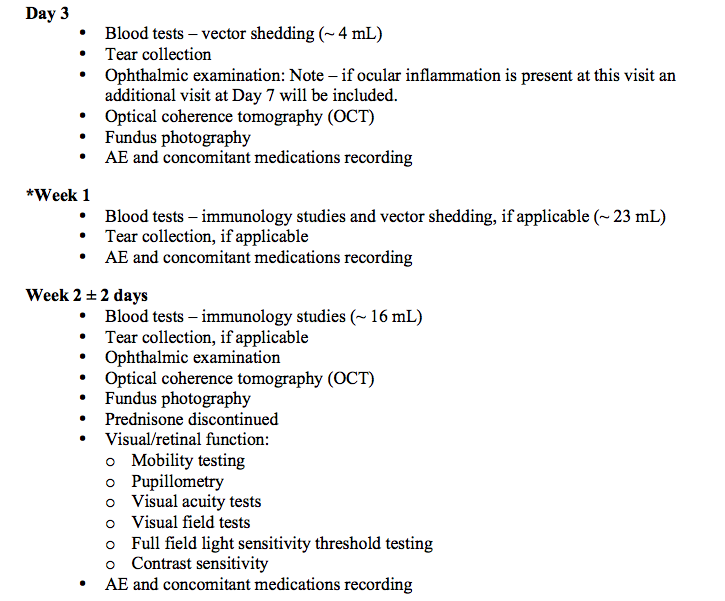 Clinical adverse events (AEs) will be monitored throughout the study. Since the study procedures are not greater than minimal risk, SAEs are not expected. If any unanticipated problems related to the research involving risks to subjects or others happen (including SAEs) these will be reported to the IRB in accordance with CHOP IRB SOP 408: Unanticipated Problems Involving Risks to Subjects. AEs that are not serious but that are notable and could involve risks to subjects will be summarized in narrative or other format and submitted to the IRB at the time of continuing review. A generic safety plan for greater then minimal risk research is included in the protocol templates. The plan includes the definitions of an adverse event, serious adverse event and summarizes the reporting requirements and timelines. A thorough discussion of reporting requirements for unanticipated problems involving risks to subjects and others, including Serious Adverse Events is available on the IRB webpage on Reportable Events. When a study is limited to procedures that are not greater than minimal risk, the Safety Management section of the protocol may be simplified. 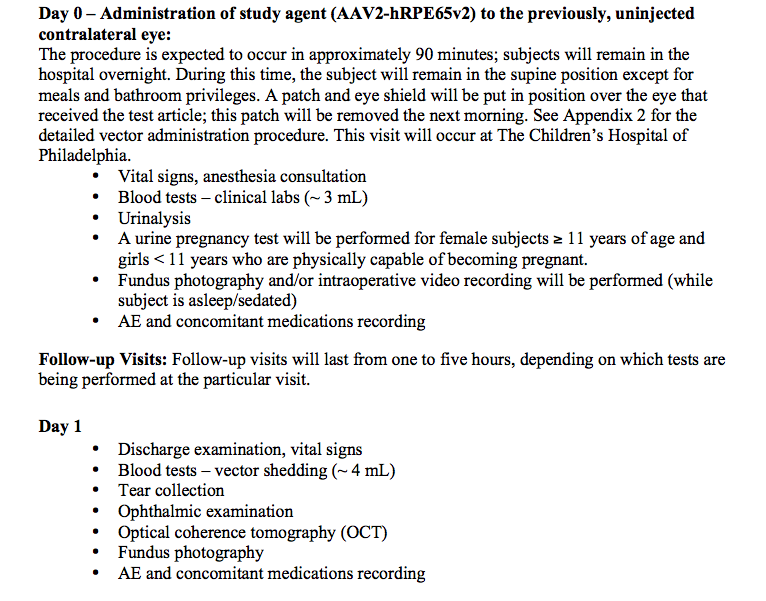 This section enumerates the procedures that will be used to run the research study. Sufficient detail is required to ensure that the research plan will produce valid results. The CONSORT reporting standards require that the details of randomization and blinding be reported. These elements must therefore be in the protocol in sufficient detail to assure that the trial results will be unbiased. If the study is not a randomized trial, it may still be appropriate to include the details for how measurements, tests or radiological images will be blinded prior to interpretation. Care in data management is a requirement to assure valid study results. 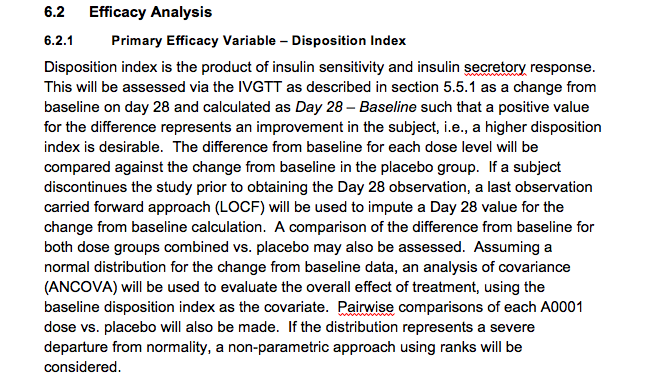 Sloppy data handling will add variability to the study assessments and will affect the outcome of the study. This section should identify the areas of risk to human subjects and address how the study will minimize those risks and maximize the potential benefits to subjects. The protocol should provide sufficient information regarding will obtain consent, what information will be transferred (consent form, verbal script, video presentation, booklet, etc. 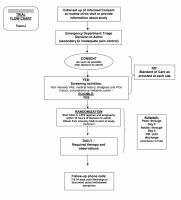 ), when the consent process will occur, where it will occur and how (in person, by telephone, etc.). The consent form by itself does not address the circumstances under which consent will be obtained. The steps that will be taken to assure comprehension (informed consent and not just consent) and lack of coercion should also be addressed. Waivers: The Informed consent section should also outline and provide a justification for all of the waivers (if any) that apply to the research. These include waivers of consent and assent, waivers of documentation of consent and waivers of parental permission. If HIPAA applies to the research then there should be an explanation of each requested waiver, alteration or partial waiver with a justification for each. It is insufficient to simply reiterate the regulations when justifying a waiver request; the justification needs to explain why the research satisfies the conditions for each waiver. Should address how those in charge of the management for the study will assess the evolving study progress including adverse events and data quality. Those in charge should assess the impact of unanticipated problems on current and future subjects. Provided that the study intervention(s) and monitoring procedures are of reasonably low risk, early Phase trials might have a plan as simple as having the investigator review all of the adverse event reports as they occur. Studies that involve a life-threatening condition or late Phase 2, 3 or 4 studies may require an independent Data Monitoring Committee (DMC), which are also referred to as Data Safety Monitoring Boards (DSMBs). If subjects or parents/guardians are to be paid for the inconvenience of participating in the study, the amount of payment(s) must be stated in the protocol. The amount paid to parent/guardians should be separated from the amount paid to subjects. The IRB must review both the amount and method of payment to subjects to insure that neither presents an undue influence on the trial subjects. Subjects not completing the study, for matters of choice (subject or investigator), may be paid on a pro rata basis. Subjects that are forced to discontinue due to an adverse experience, should be compensated the entire amount. Research that will not be published does not contribute to generalizable knowledge. This violates the first of Emanuel's requirements for what makes clinical research ethical - namely that the research have social (and scientific value). The plans for publication should be provided as a statement of the investigators assurance that the results will be made public and shared. Mann H. Research ethics committees and public dissemination of clinical trial results. Antes and Chalmers. Under-reporting of clinical trials is unethical. 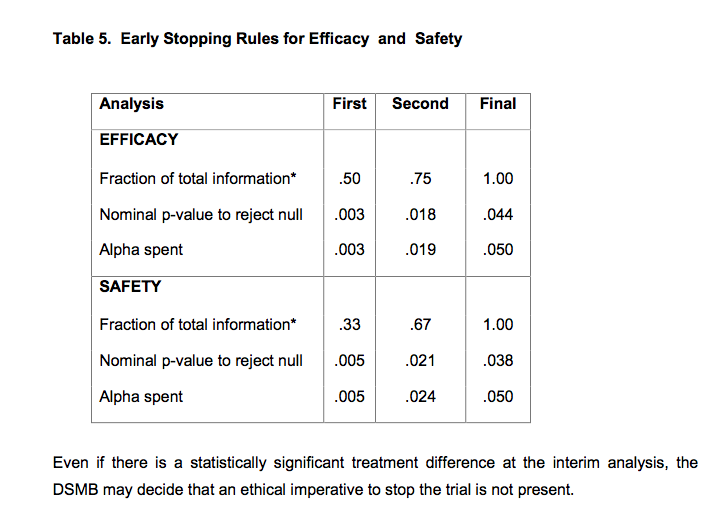 Outterson K. Clinical trial transparency - antidote to weaker off-label-promotion rules? List key references. Generally this should include no more than 10 - 20 key references that demonstrate a thorough review of the literature and provide support for the methodology, dosage choice, measurement techniques, etc. The Investigator's Brochure or the Grant application generally provide extensive reference material that need not be repeated in the protocol.